LONDON - Woolworths relaunches today as a web-only retailer geared toward British families. 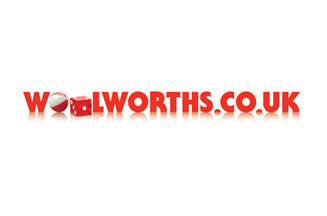 Woolworths.co.uk has been developed around four main product categories: Toys; Kidswear; Entertainment; and Party. In keeping with tradition, consumers will also be able to order Pic ‘N' Mix sweets online. The site will have three 'shops' - the Main Shop, Entertainment and Party. Initially, each will have its own checkout, but the site will offer an integrated checkout from the autumn. The Main shop offers products for all ages, with a selection of toys from brands including Mattel, Fisher-Price, Hornby, Hasbro and Tomy. Woolworths.co.uk is also relaunching the Ladybird children's clothing brand for ages 0-8, and will be introducing clothing, footwear and sportswear for older kids. In the Entertainment section, consumers can shop for games, DVDs, Blu-ray discs, CDs and books, all with free delivery. The shop will have weekly charts, promotions and special offers. The Party shop offers fancy-dress costumes for both children and adults, games, goody bags, balloons and party gifts requested by customers. ‘Whereas before there was around 7000 lines across entertainment and clothing, because we are not restricted by bricks and mortar there will be around half a million lines,' said Mark Newton-Jones, chief executive at Shop Direct Group, which now owns Woolworths. The retailer has also created a reward scheme called the Very Important Families (VIF) Club. Registered users can receive perks such as free cinemas tickets for Saturday mornings, known as Movies for Juniors. On 4 July, there will be special screenings of Ice Age 3 for 3000 Woolies customers at 15 cinemas. As part of the relaunch, the Woolworths logo has been revamped, with the 'oo's of 'Woolies' changing depending on the product category being viewed. Marketing activity, created by The Brooklyn Brothers, breaks this weekend, with a cinema spot and outdoor activity. Initially, the site relaunch will not be promoted on TV. The Woolworths retail chain entered administration last November; the brand was acquired by the Shop Direct Group on 2 February. The new-look website goes live to consumers at 7am on Thursday 25 June.